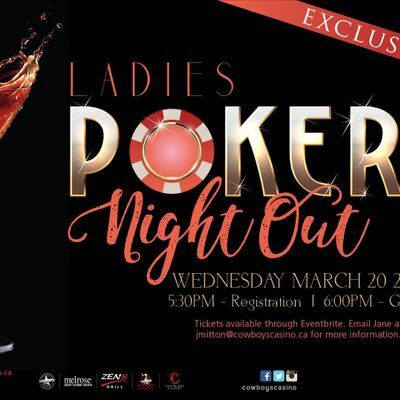 Join us for our monthly Ladies Poker Night Out on Wednesday March 20th, 2019. 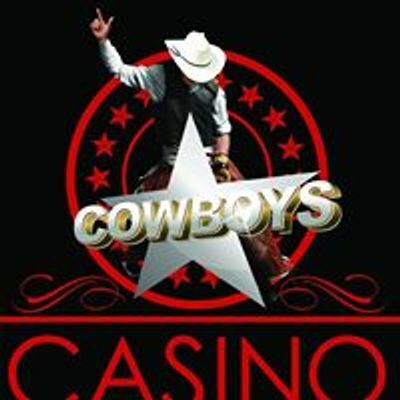 Learn to play poker in our private poker area in a fun and casual atmosphere. 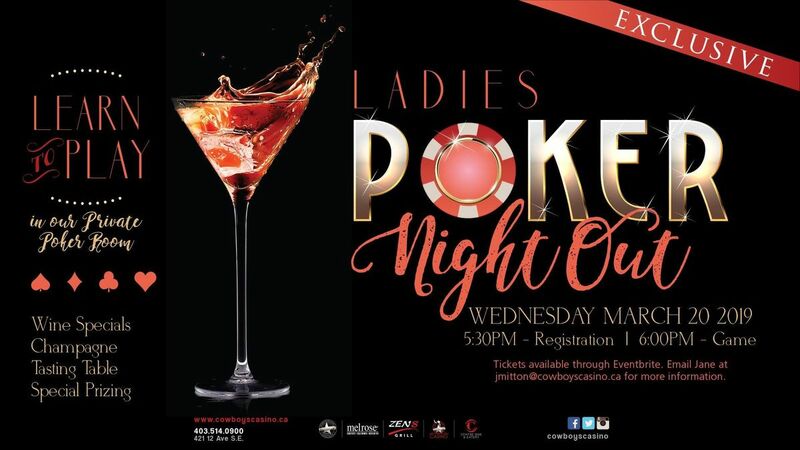 Enjoy complimentary champagne upon arrival, wine specials, appetizers and have a chance to win some fantastic prizing! Grab your crew and make a special night out of it! Ticket cost covers initial buy-in.